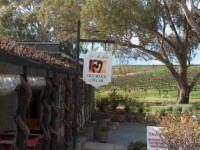 Why not add in a tour to South Australia's world famous Barossa Valley wine region whilst on your houseboat holiday? 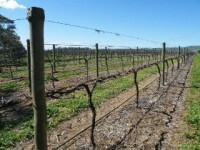 This popular wine region is only 45 minutes away from the Murray River ... it's practically right next door! Greeted by your host at your houseboat mooring location, you will be chauffer driven through the famous Barossa Valley taking in the beautiful scenery along the way. Collection points for this tour ~ Younghusband, Bow Hill, Purnong, Walkers Flat, Big Bend and Swan Reach. Depending on the number of nights your group is travelling over will determine the pickup point. We will be happy assist you with a location that is suitable for your group. 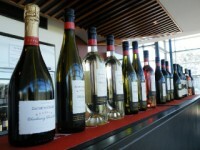 Wineries generally visited include ~ Langmeil, Chateau Tanunda and Partalunga. Tours can also be in a Mercedes Limousine Bus (The Entertainer). Includes Club lounge, bar, flat screen TV'S, Karaoke system and caters for a maximum of 10 people. Additional cost $150. The cost of your tour is payable to Unforgettable Houseboats and can be paid using Visa, Mastercard or Direct Deposit. An invoice will be issued for this tour option when booking. All tours need to be pre-booked at least 4 weeks prior to boarding the houseboat. Please contact Unforgettable Houseboats to arrange your itinerary and book your tour. Please note all pricing and winery locations are subject to change without notice.